Are you among millions of coffee lovers who love moving around with their coffee-brewing kit for their everyday caffeine fix? 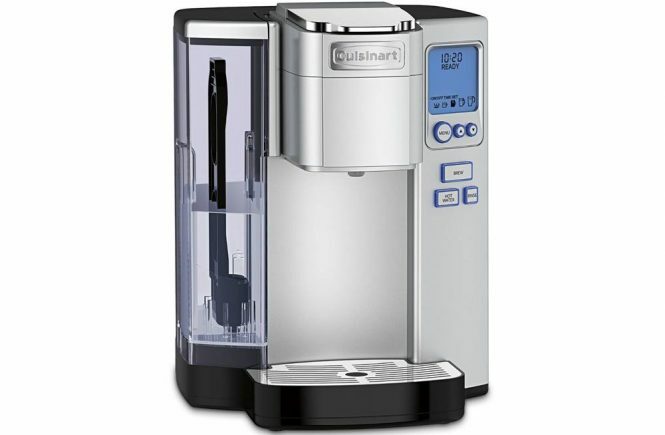 Or are you looking for a dirty cheap yet reliable coffeemaker for your office or dorm room? If so, this Black and Decker brew and go has your name on it. This is among the most compact coffeemakers that we’ve come across so far. But what most coffee lovers like is its performance even at its unbelievable price tag. So, what is the Black and Decker DCM18S Coffeemaker? The Brew and Go is an inexpensive personal coffee solution that comes with a travel mug. As its name suggests, this little machine is designed for a coffee addict who wants to grab a whole mug of coffee and hit the road. It might be a wise choice if you don’t want to spend up to 5 bucks each time you need a pick-me-up shot of cuppa. This coffee system features a basic plastic construction which would still be forgivable at double its price. While it doesn’t feel as sturdy, it seems like it could take care of your needs for quite some time with just a little care. One thing that you are bound to love about the Black and Decker DCM18S is its small footprint. This model measures 9-3/4 by 7 by 6 inches- a size that won’t grab lots of space wherever you place it. 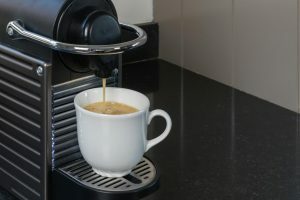 This seems like a perfect choice whether you are looking for a personal coffee maker for your dorm or office. It could also fit the bill if you are the only coffee binger in your home. 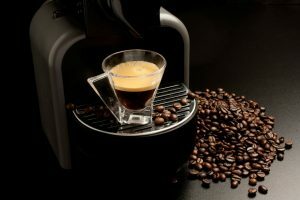 In addition, this coffee maker tends to garner lots of praise from coffee lovers who want something they can use while on the go. What does it use, capsules or ground Coffee? Fortunately or unfortunately, this coffeemaker is not compatible with capsules. 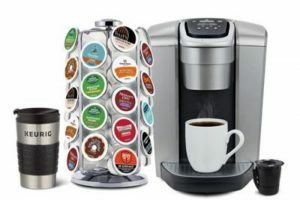 Rather, it is engineered to use loose store-bought coffee or freshly ground coffee or pods. Well, most people who prefer a capsule-based machine, thanks to its consistency and ease of use when things are rushed, will see this as a bummer. However, anyone who understands that freshly ground coffee is key to a great shot of joe will have a different opinion. The Brew and Go is designed to offer you optimum ease of use. All you need to do is place your coffee pod or scoop a good amount of your coffee grounds and add it to the reusable filter. Then, add water to the reservoir, hit the on/off switch and let the machine take over from there. This eliminates the need for hitting several buttons or following several prompts before the machine can embark on the brewing process. The Brew and Go coffeemaker is designed to go off automatically once the brewing process is over. This eliminates all worries in case you forgot to unplug it from the socket amidst your morning rush. 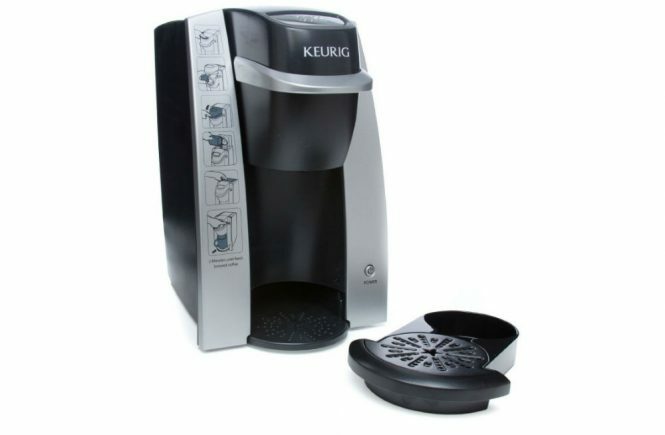 True to its name- Brew and Go- this machine comes with a 15-ounce travel mug into which it brews. This is a thermal stainless steel mug that is designed to keep your beverage quite hot for some time. It also has a sturdy stay-cool rubber carrying handle and comes with a lid. But what’s interesting is that it has been designed to fit in most car cup-holders. Worth noting is that this coffee machine’s spout has a universal design that will accommodate different mugs. Thus, you could use any of your favorite travel mugs if you wish to. As any barista will tell you, getting the right brewing temperatures is key. Go past the optimum brewing temperature and you’ll get your coffee burned. Fail to hit the ballpark and you won’t experience the aromatic flavor of your coffee. Coffee experts suggest that the optimal brewing temperatures are between 1950 F (910C) and 2050F (960c). The good news is that the DCM18S coffeemaker operates within this range which is a really good thing if you want to enjoy your coffee at its very best. Brews within the required temperature ballpark- this coffeemaker heats water at between 1950 F (910C) and 2050F (960c) which is just the right brewing temperature range. 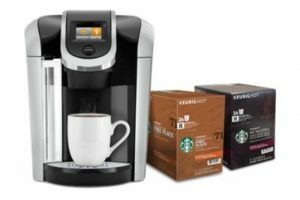 Well, the coffee may not be as full-bodied as you’d get it from a high-end, sophisticated coffee system, for instance, the Keurig K575. But it’s still good enough considering this machine’s price tag. Easy ON/OFF- this coffee machine has a red light that lights up by default once you plug in the machine. The process of brewing the coffee only requires you to push the ON button after adding the right amount of coffee grounds and water in the reservoir. The brewer will turn itself OFF after the brewing process. This eliminates any risks of fires in case you forgot to hit it OFF. The Black and Decker DCM18S is a basic coffee maker for coffee lovers who want to grab a mug on the go. It has nothing much to offer in terms of aesthetics. But it will offer you a great shot of coffee at an incredible price. This coffee maker is designed to use coffee pods and loose coffee grounds. True to its design, this machine aims at making your life simple. The process is a one-button process. It takes roughly 3 minutes to have your mug ready and will turn itself off after the brewing process. Cleaning and maintaining is quite easy too since the most of its removable parts- travel mug, lid, and permanent filter- are machine washable. 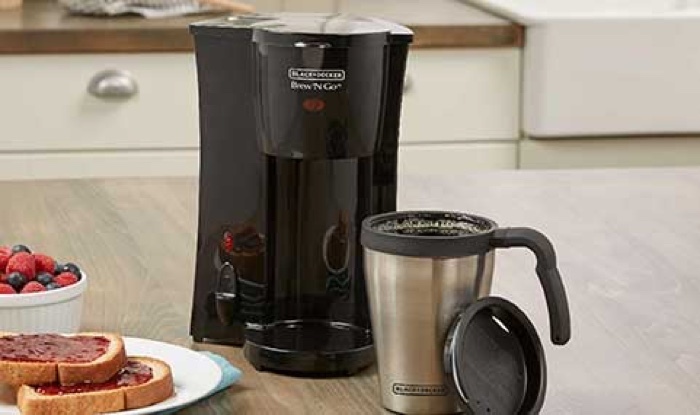 The Black and Decker Brew and Grab is designed to meet the coffee needs of one person. Thus, it might not fit the bill if you are looking for something to cater for a group of coffee lovers, for instance, during a party or in an office environment. Such instances call for bigger models including the Keurig K55 and the Ninja Coffee Bar Brew System. Our list of the best single cup coffeemakers is a great place to get bigger alternatives. In addition, the DCM18S offers you very little control over the strength of your brew. While the manufacturer aims at taking most of the work off your shoulders, the ability to tweak the strength of your coffee to your desired likeness might make your coffee experiences even more promising. 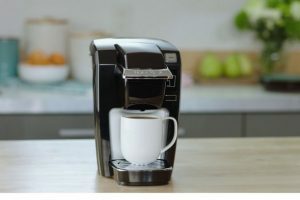 In that case, you might want to consider a coffeemaker that allows you to customize the brew strength and the brewing temperature for ultimate coffee flavors. 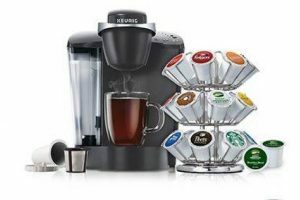 The Keurig K-Elite is a great recommendation here. It would be quite unfair to judge the Black and Decker DCM18S by what it can’t do especially in regards to brew customization. This is a basic coffeemaker that, in my opinion, does quite a great job of delivering a great-tasting shot of joe at an unbeatable price tag.